Iron doesn’t have to be a problem on a vegan diet. 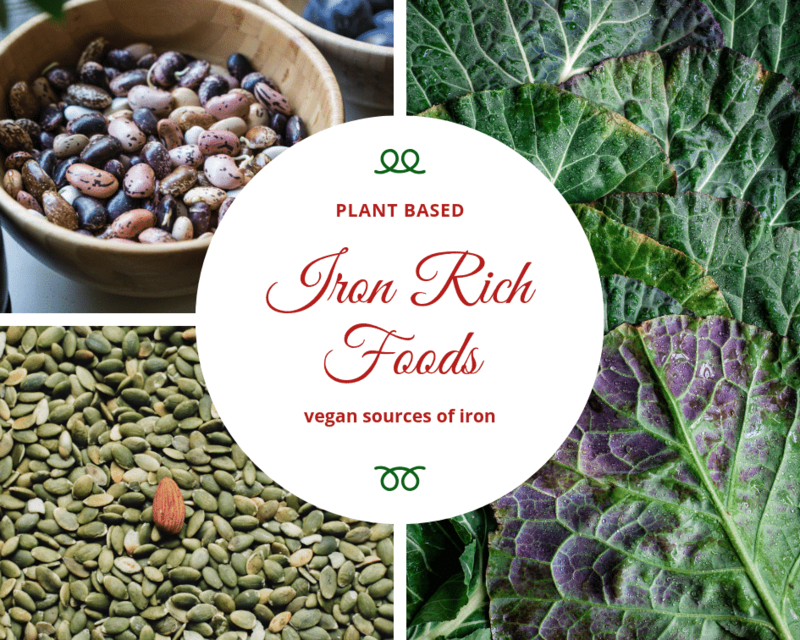 There are many delicious iron rich foods, vegan sources of iron, that can be added to our daily diet. Iron deficiency is the most common nutrient deficiency with symptoms like fatigue, pale skin, weakness and inability to maintain body temperature. Plant based iron, the non-heme iron, is harder to be absorbed by the body which makes it is smart to look and make sure we are getting enough. Anemia is not something to play around with. Getting enough iron is important but even more important is how well we absorb it. There is a lot we can do to enhance non-heme iron absorption. Mother Nature thinks of everything right?! 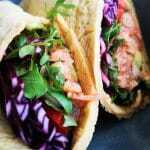 First I’m going to list the best plant based iron rich foods we need to add to our daily diets here below and then list a few ways to enhance their absorption. Also adding a sample day of eating to give you an idea on how to bring this all together. What are good sources of iron for vegans? Lentils provide 6.6 mg per cup cooked, or 37% of the RDI, also rich in protein, fiber, folate and manganese. 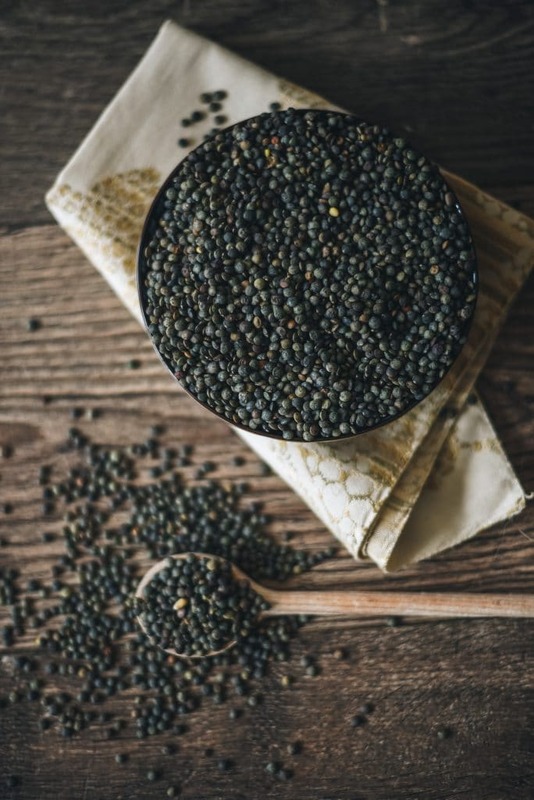 One cup of cooked lentils contains 18 grams of protein and covers around 50% of your recommended daily fiber intake. Beans and peas are excellent sources of complex carbs, fiber, folate, phosphorus, potassium, manganese and many beneficial plant compounds. Beans and legumes have been a large part of the diet of the longest living populations around the world. Studies have shown a link between regularly consuming beans with lower blood pressure, lower cholesterol, blood sugar levels and even belly fat. Hummus is a win win food, a combination of chickpeas and tahini. Seeds Seeds also contain plant based protein, fiber, calcium, magnesium, zinc, selenium, antioxidants and omega-3 and omega-6 fatty acids. 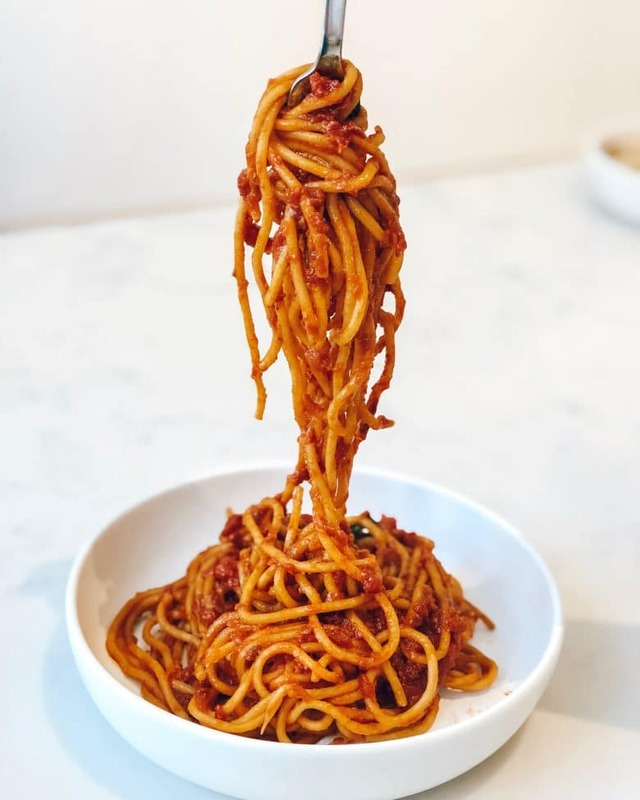 Tomato paste has per half cup 3.9 mg of iron, or 22% of the RDI and 1 cup of tomato 1.9 mg, or 11% of the RDI, so bring on the pasta with tomato sauce to boost iron levels! Same goes for sun dried tomatoes. Tomatoes are also a great source of vitamin C, which is needed to increase iron absorption and of lycopene, a powerful antioxidant. Nuts and 100% pure nut butters, especially almonds, cashews, pine and macadamia nuts are a good source of iron. These contain between 1–1.6 mg of iron per ounce or per 30 grams, approx. 6–9% of the RDI. Un-roasted, raw, un-blanched nuts are a great source of protein, fiber, healthy fats, vitamins, minerals and antioxidants. Potatoes are often feared and seen as something that makes you fat. Potatoes are rich in carbohydrates but besides iron also in fiber, vitamin C, B6 and potassium. One medium potato with skin can deliver up to 46% of your daily needs in those vitamins. Grains like quinoa, amaranth, spelt and oats are a great source of plant based iron. Amaranth is a complete source of plant protein as is quinoa. Cooked amaranth contains around 5.2 mg of iron per cup, 29% of the RDI Amaranth is gluten free and is rich in complex carbs, fiber, manganese, phosphorus and magnesium. Quinoa has cooked around 2.8 mg of iron per cup, or 16% of the RDI It is also rich in antioxidants, fiber, complex carbs, vitamins and minerals. A cup of cooked Oats has around 3.4 mg of iron, 19% of the RDI and also besides that it is delicious it is a good source of plant protein, fiber, magnesium, zinc and folate. Oats are great for long lasting energy and to keep you full when trying to lose weight. 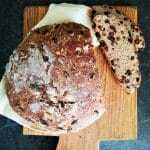 Spelt has around the same amounts of iron as oats have and is rich in selenium, magnesium, zinc and B vitamins. Black Strap molasses is something I often use for it’s high iron benefits. I usually dissolve a tbsp in a cup with hot water and drink it with some warm almond milk, like a cup of coffee. Two tbsp of molasses contains around 1.8 mg of iron, around 10% of the RDI It is also rich in copper, selenium, potassium, vitamin B6, magnesium and manganese. Palm hearts are a lesser know and lesser used tropical vegetable in Europe, I also didn’t know that they contain quite some iron, around 4.6 mg per cup, 26% of the RDI There are many ways to use palm hearts if you can get your hands on some. Mulberries have a fair amount of iron, fruits usually don’t, these have around 2.6 mg of iron per cup, 14% of the RDI and also a ton of vitamin C which makes the iron absorb efficiently. Dried thyme is a nutritional powerhouse like many herbs are. It has 1.2 mg iron per tbsp, around 7% of the RDI Adding a tsp to a meal or dressing gives you some extra iron in an unexpected way. 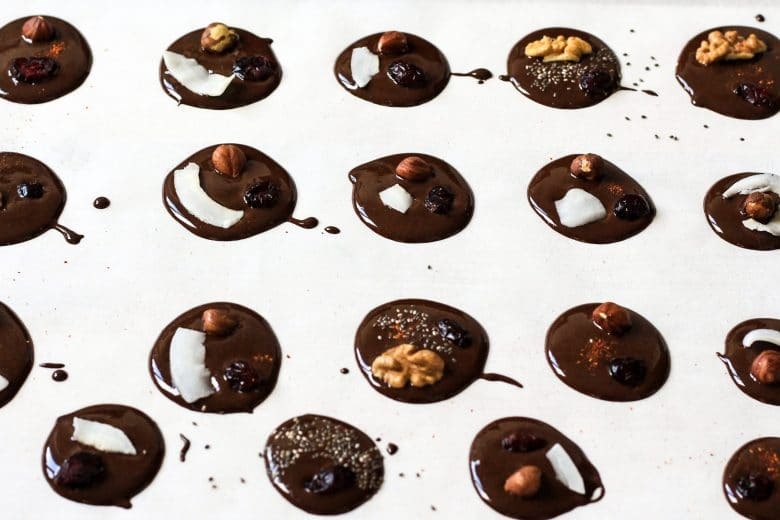 Dark chocolate has many health benefits like being a powerful source of antioxidants, it also has a good amount of iron per ounce / 28 grams (28 grams), around 3,3 mg, 18% of the RDI. So taking that little square of dark chocolate now and then is not a bad thing. How much iron do vegans need? The amounts of iron advised are approximately 14 mg per day for men and post-menopausal women, 32 mg per day for menstruating women and 49 mg per day for pregnant women. Toddlers ages 1–3 years need 7 milligrams of iron each day. Kids ages 4–8 years need 10 milligrams, older kids ages 9–13 years need 8 milligrams. Teenage boys need around 11 milligrams of iron a day and teenage girls around 15 milligrams. The amounts of iron advised are approximately 11 mg per day for men and post-menopausal women, menstruating and pregnant women need a larger amount, at least 15 mg but often it advised to be as high as 27 mg. Toddlers ages 1–3 years need 7 milligrams of iron each day, kids ages between 4–8 years need 8 milligrams, older kids ages 9–13 years need 9 milligrams. Teenage boys need around 11 mg of iron a day and teenage girls around 15 milligrams. Women between 19 – 50 in their childbearing years 18 mg.
Soaking, sprouting and fermenting grains, beans, nuts and seeds lowers the amount of phytates and improves iron absorption. Cast iron pan, crazy and old fashioned as it sounds but foods prepared in a cast iron pan can have two to three times more iron then foods prepared in regular pots and pans. I remember my mom telling me that she had to eat soup with an iron spoon when she seemed low in iron as a little girl. If we apply these iron-hacks to our diet we will be getting more than enough usable protein without having to eat twice as much. It is all about the absorption. Iron and Vitamin C are very important for healthy hair. Iron helps red blood cells carry oxygen through the body. Read more on nutrients for healthy hair HERE. I have put together a sample day of eating high iron and nutrient dense foods. 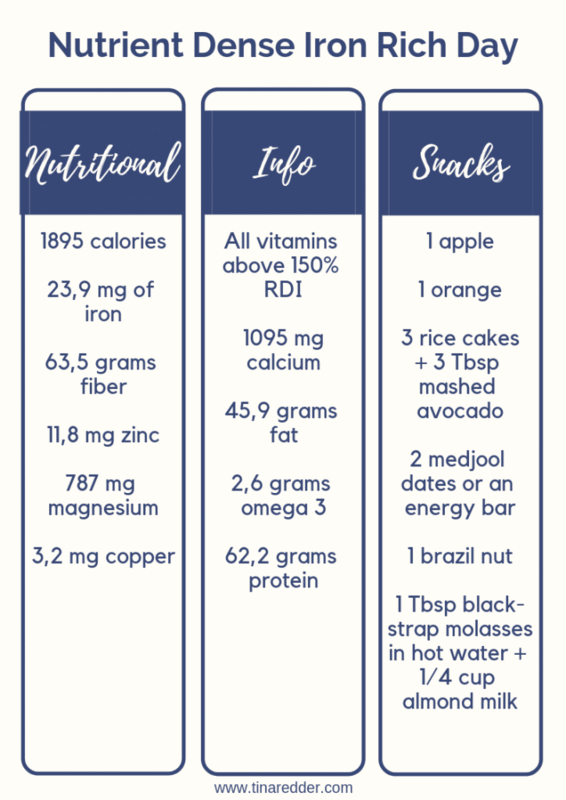 It adds up to 1895 calories and 23,9 mg of iron, See all the nutritional info below. If you need more iron double a high iron food, instead of 1/2 cup eat 1 cup of lentils. Same goes for calories, less calories, less snacks. More calories, more snacks or double foods like the oats etc. And always add a form of vitamin C to each meal to enhance absorption of the iron. This is just an example day to show how eating iron rich nutrient dense foods would look like. 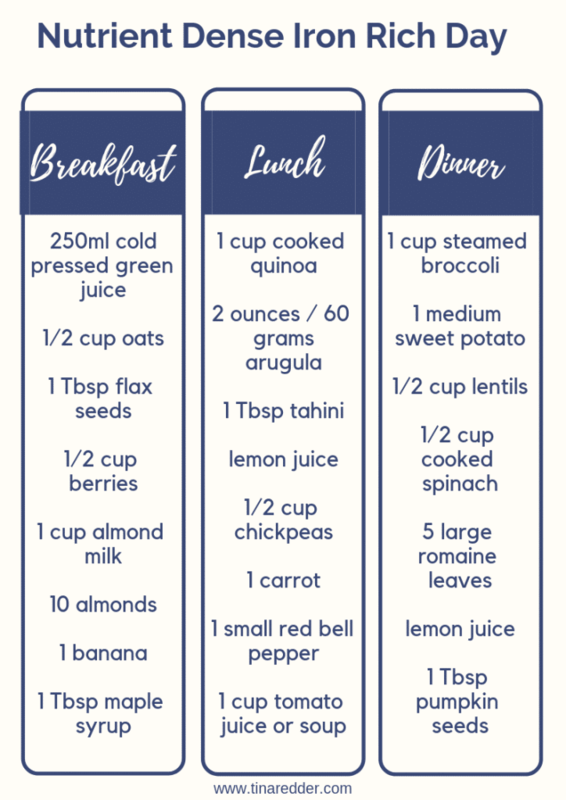 Most people don’t need this much iron but the menu demonstrates that it is doable on a plant based diet and even if you skip a few iron rich items you can still get enough. It is always good to eat as a wide range of foods as possible on a weekly basis.